Havana Salsa was established in the UK over 10 years ago to introduce the wonderful dance of Cuban Salsa into many lives. Not only the Cuban Salsa dance, but the Cuban culture, food, music and the Spanish language. We eat, live, breath Cuban Salsa! Cuban Salsa was derived from an earlier dance form known as ‘Son’ and other popular social dances as well as mambo and cha cha cha . The Cuban style developed into a very relaxed, passionate and expressive style where your personality gets to shine as much as your dance steps. It’s been danced since the 50’s and all started in Havana, the capital city of Cuba . Fun, passion and enjoyment are a major part of our Cuban Salsa classes and social events in Leicester, Nuneaton, Coventry, Derbyshire and Birmingham. Cuban Salsa is very much alive in the heart of the Midlands with Havana Salsa! Rodolfo and his wife Laura, and their team of trained instructors from across the globe have teamed up to bring the addictive Cuban Salsa to many people of all ages. With weekly Cuban Salsa classes in many cities across the midlands are fun and full of energetic content accompanied by great music and great people. Anybody can join the classes from absolute beginner’s right up to advance dancers. No partners are needed, just bring your enthusiasm to take on a beautiful dance. 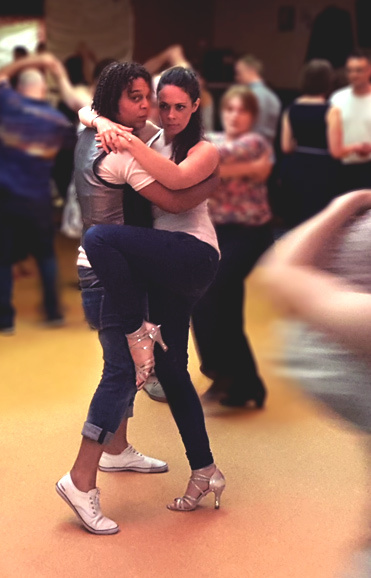 We have one passion… whether it is via one of our weekly Cuban Salsa classes across the Midlands , or our regular fiestas (social dance parties) and workshops; we hope to share that passion with you.